There are more than eight reasons, trust us – but these should be enough to whet the appetite. 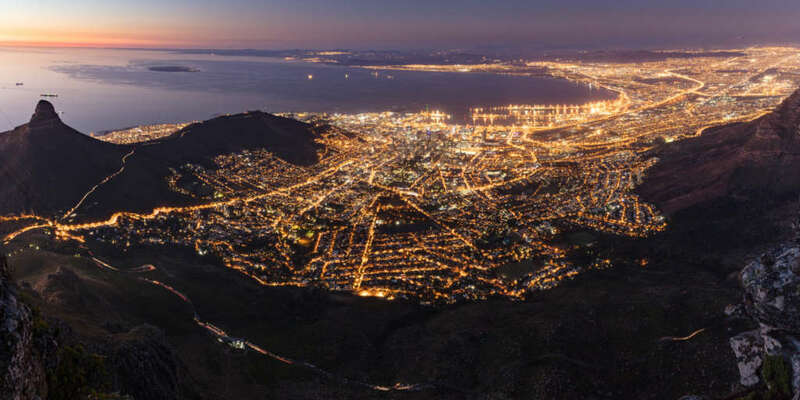 From watching the sunrise from the top of Lion’s Head to dining at one of the world’s best restaurants, experiential luxury travel in Cape Town has so much to offer, no matter what you like to do on holiday. 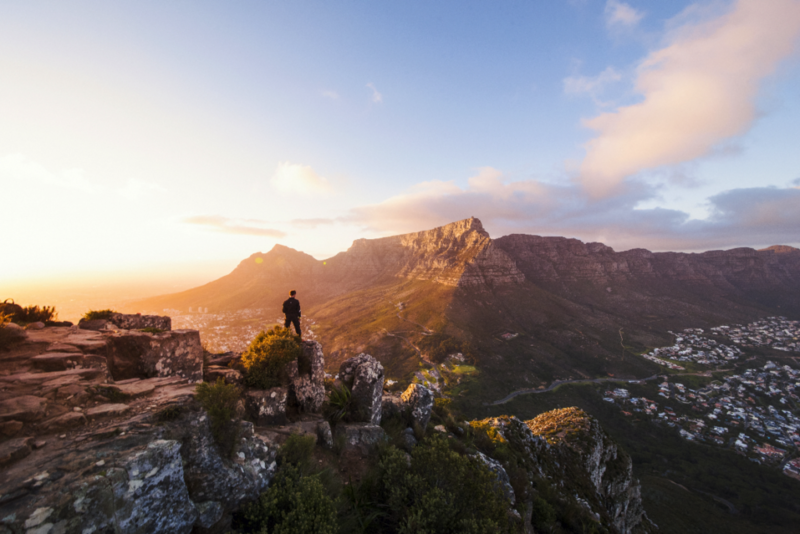 Here are just some of the reasons to make Cape Town part of your next trip to South Africa. Cape Town at night from Table Mountain. Credit: Duncan Rawlinson, Flickr. The iconic symbol of Cape Town, Table Mountain, rises up behind the city bowl, creating one of the most instantly recognisable landscapes in the world. Not only does it look mighty fine, the mountain and its surrounding peaks also provide countless trails for hiking and running, right from the city. At the top of Table Mountain. Credit: South Africa Tourism. Surrounded by two oceans, Cape Town is a water-lovers paradise – though it is cold, so wetsuits are recommended! Locals and visitors alike spend their mornings surfing, body-boarding, kite-surfing, wind-surfing and stand-up paddle boarding. Often, you’ll spot seals playing in the surf and dolphins curiously checking out the goings-on. 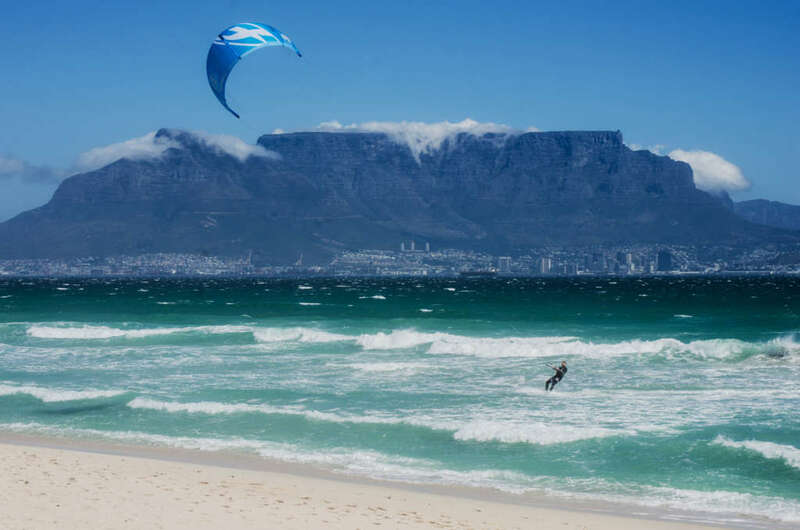 Kite surfing at Blouberg. Credit: Lisa Burnell, Cape Town Tourism. One of the main reasons Cape Town is such a popular destination is because right outside the city are some of the world’s best wineries. Tucked amongst rolling hills of vines, South Africa’s wine farms produce some excellent vintages – and you can get many for a fraction of the cost it would be at home. 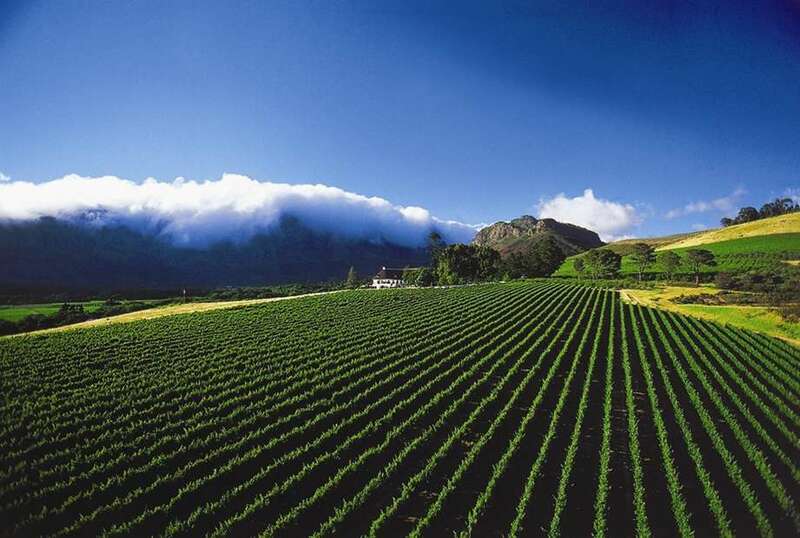 The Constantia winelands are the closest to the city, just 20 minutes outside the centre, and it is also the oldest wine producing region in the Southern Hemisphere. Cape Town loves eating out, whether it’s for breakfast, brunch, lunch or dinner. The foodie city has a new restaurant opening on at least a monthly basis, so there’s never a shortage of places to try or excuse for being bored. There’s a vast array of dining styles and cuisines on offer, from award-winning fine dining to feet-in-the-sand casual vibes, from South African braais and artisanal burgers to oyster bars and Aussie-style brekkies. 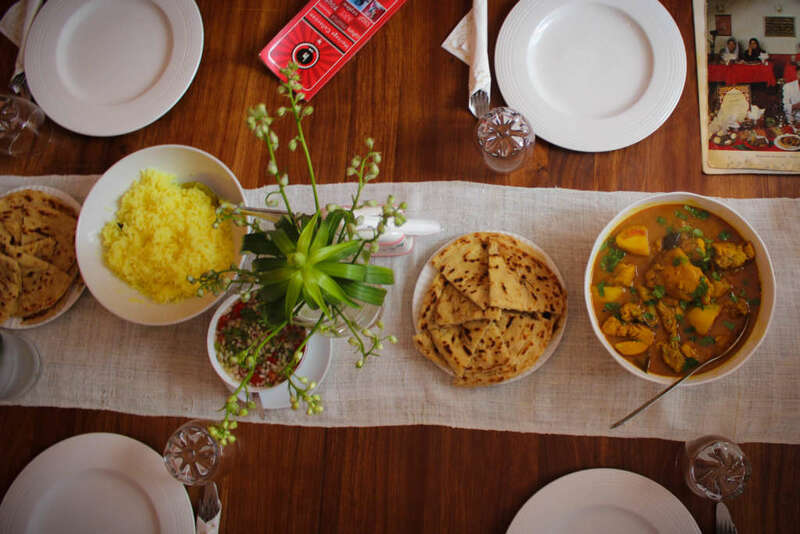 A traditional Cape Malay meal of curry, roti, rice. Credit: Cape Town Tourism. If you haven’t heard about the opening of the Zeitz Museum of Contemporary African Art (MOCAA), where have you been? Located in the V&A waterfront, this huge museum opened in a strikingly restored grain silo in September 2017 and showcases some of the most interesting contemporary art pieces from African artists. 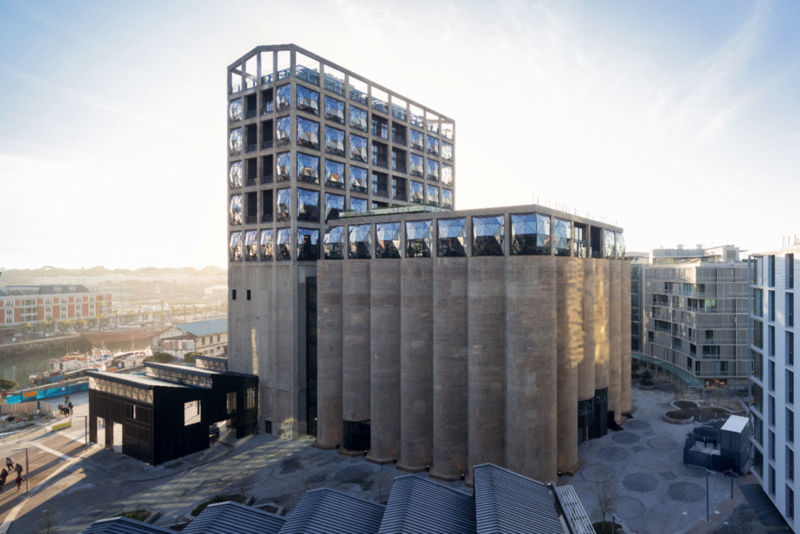 Atop the Zeitz MOCAA, The Silo is one of the newest hotels in the city, noted for its quirky design and the huge, pillow windows of the Thomas Heatherwick-designed silo building. Ellerman House is a classic choice for those who are looking for comfortable, elegant luxury travel in Cape Town. MannaBay is set up on the slopes of Table Mountain, overlooking the city, and has a fresh, modern sense of style, each room totally different from the last. 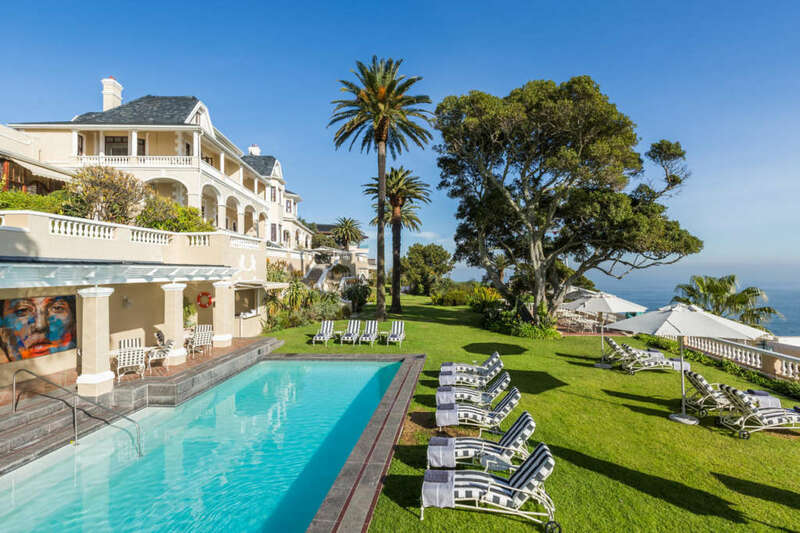 The Mount Nelson – or The Nellie, as it is affectionately known in Cape Town – is one of the most established hotels and attracts a host of famous names, many of whom come back year after year. The fascinating District Six museum reveals the troubling past of this part of central Cape Town: under apartheid law, thousands of people living here were forcibly removed to make it a whites-only zone. The museum tells this story through personal artefacts like photographs and letters. Another site of South African history, Robben Island is located a short boat journey from the V&A Waterfront and is where Nelson Mandela and many other important anti-apartheid activists were imprisoned. Part of the tour around the prison is led by a former inmate, making for a raw and emotional lesson in history. 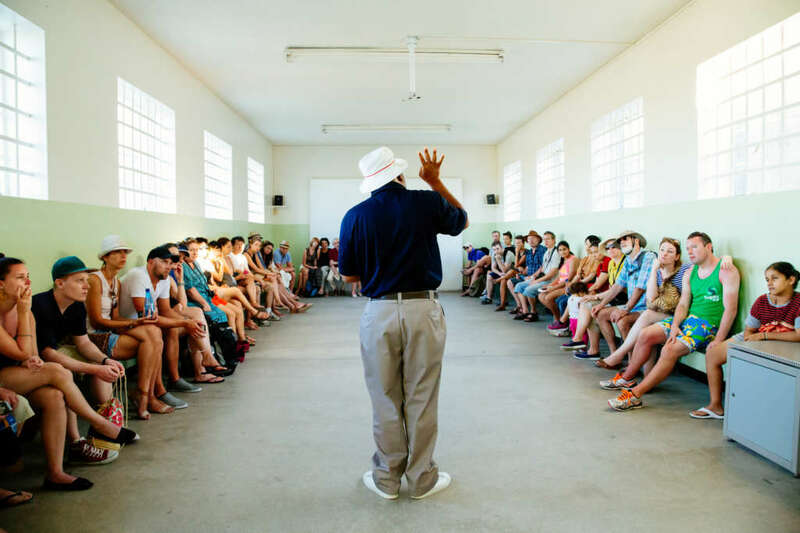 A tour of Robben Island’s prison. Credit: Cape Town Tourism. Your trip to Cape Town can be as relaxed or adrenaline-fuelled as you like. For the latter, the options are endless. 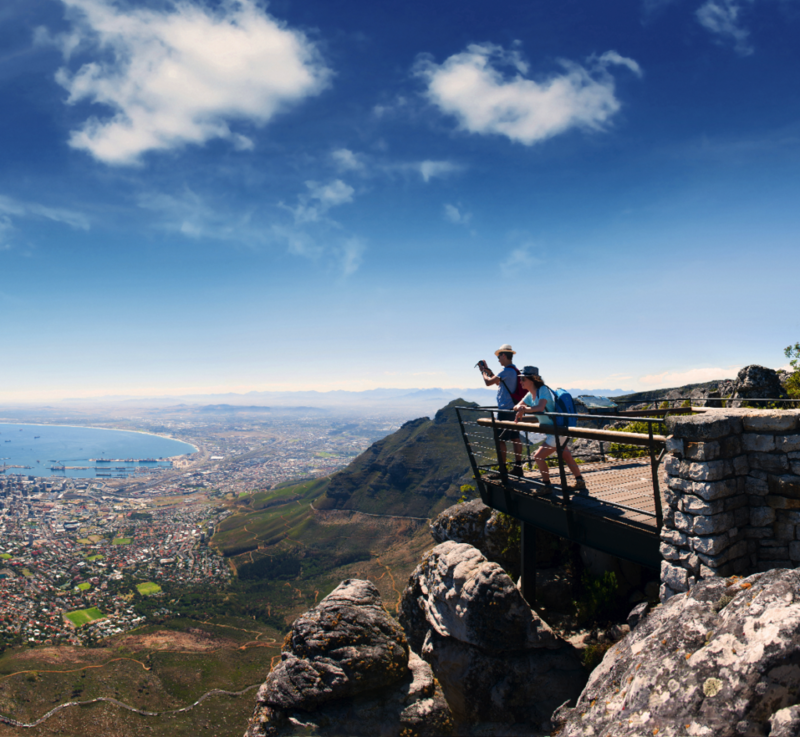 Try abseiling off the top of Table Mountain or paragliding from Signal Hill. A little further outside Cape Town, you can cage dive with great white sharks and zip-line or quad bike through the forests. For softer adventure, head out for a kayak along the city coastline or hike up to the top of Lion’s Head in time for sunrise. The view from Lion’s Head. Credit: Cape Town Tourism.